Take advantage of rebates on air conditioning equipment! We specialize in high-efficiency air conditioning systems eligible for rebates and interest-free loans through the MassSave program. We are Cool Smart® certified by MassSave allowing our customers to receive the maximum rebates available for their central air conditioning installation needs! Our professional technicians not only offer central air conditioning services, but also install a wide variety of cooling equipment. We work with you choose the type of system and manufacturer that fits your needs and your budget. Choose from the best equipment on the market including Carrier, RUUD, Unico, or Mitsubishi. 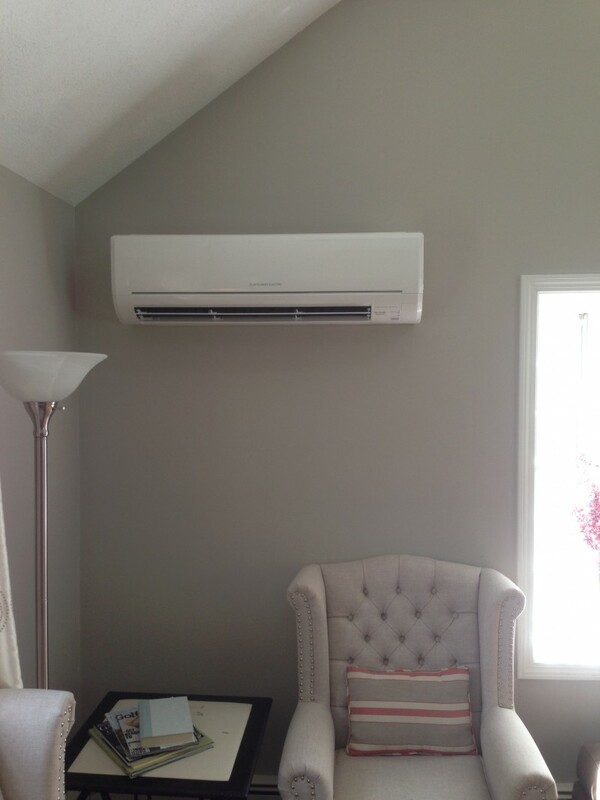 Thanks to new technology, ductless mini-split heat pumps from Mitsubishi are used for cooling your home in the summer and have become a realistic option as a supplemental heat source in the cold New England winters. For more information and to begin saving on your annual air conditioning costs, call our office today!